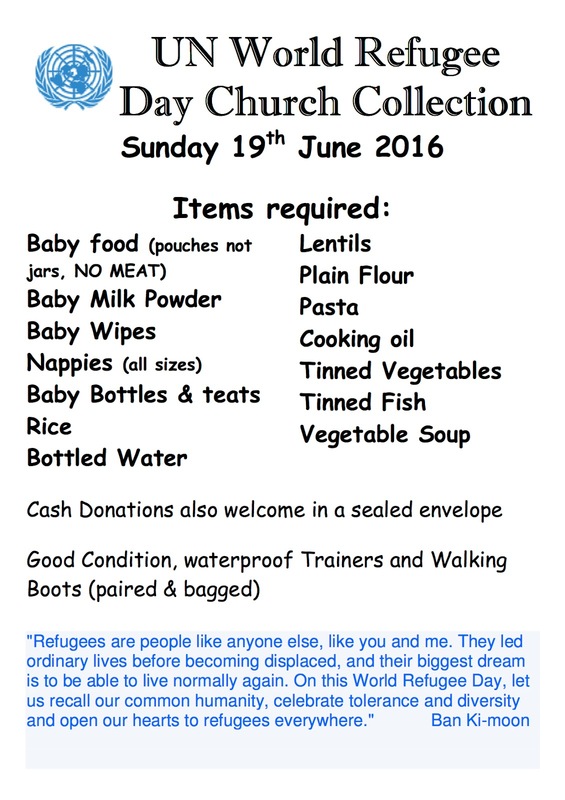 As many of you know we are collecting goods as listed below in the lead up to World Refugee Day on 20th June 2016. 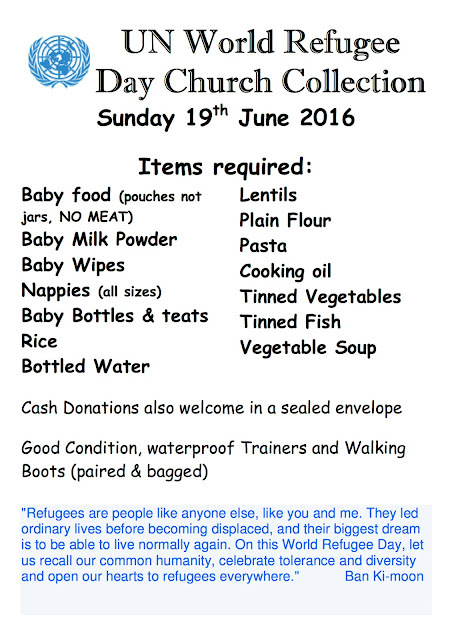 Please take any goods listed below to St Thomas', St John's or St Peter's up to and including 19th June. These will then be taken to those in need in the camps in Dunkirk and Calais.